Tough Eagle Race – Registration NOW OPEN! Mountain’s Tough Eagle Race is back! The race is an approximately 2km obstacle course race around the R.E. Mountain Secondary campus. 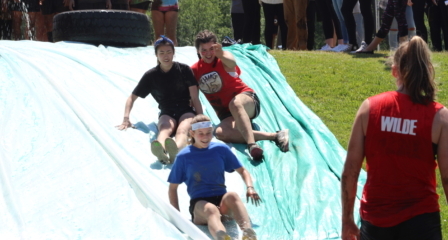 Some obstacles include a warped wall, mud crawl, giant slip and slide, sandbag carry, cargo net wall, and many more! It is a team race with up to 4 students per team (current R.E.M.S.S. students only, but contact Mr. Weiss if you are an alumni who would like to participate). Grab three friends and register now!